At first, the idea of using porcupine quills to patch up wounds sounds torturous. 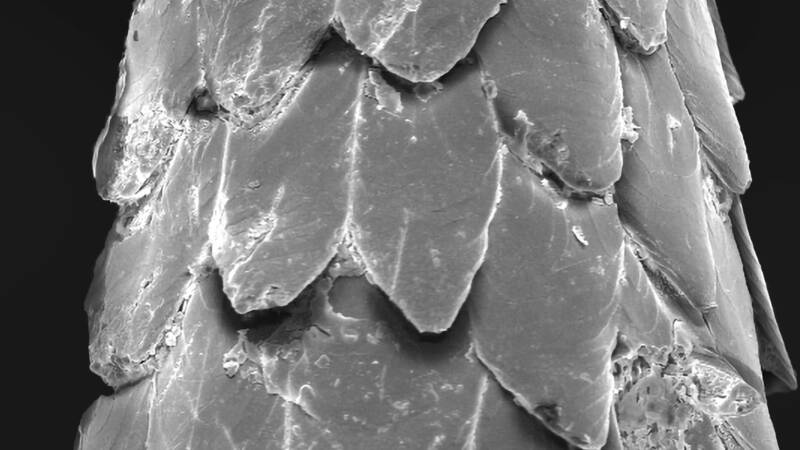 But now researchers are taking inspiration from the spiky rodent to make a new type of surgical staple that may be less damaging -- and painful -- than current staples. Worldwide, surgeons perform more than 4 million procedures annually, usually using sutures and staples to close wounds in patients. Yet, these traditional tools designed to aid healing can create their own problems. Doctors often use surgical staples because they’re faster to insert than sutures, which require a needle and thread. But current surgical staples, which are made of metal, tear tissue on the way in and cause more damage when bent to stay in place, said Jeff Karp, a bioengineer at Brigham and Women’s Hospital in Boston and professor of medicine at Harvard Medical School. Staples that work like porcupine quills could solve those challenges, Karp said. Karp and his team have been searching for new ways doctors can hold tissue together. For inspiration, they turned to nature. In one brainstorming session, the researchers thought of the porcupine and its quill. The North American porcupine appears cute, but it has upward of 30,000 menacing quills over most of its body. The slow-moving herbivore delivers them only as a last-resort defense against predators. Generally, the quills, which are specialized hairs, lie flat on the mammal’s body. Only when threatened will the porcupine erect them. And contrary to popular belief, they don’t shoot them out from their bodies. Any potential predator unfamiliar with a porcupine, such as a dog or mountain lion, would be wise to heed its warnings across three senses, according to Roze’s book, “The North American Porcupine.” The adult’s contrasting black-and-white pattern on the quills and other hairs -- known as aposematic coloration -- is a visual warning signal. A unique pungent odor and ominous teeth-clattering should alarm the nose and ears. Should the predator ignore these signs and attack, the porcupine will use its powerful spiky tail to slap at the aggressor. Each quill is held in place by its own special structure in the porcupine’s skin. The contact from colliding with a predator causes the skin to release the quills from the porcupine’s body. 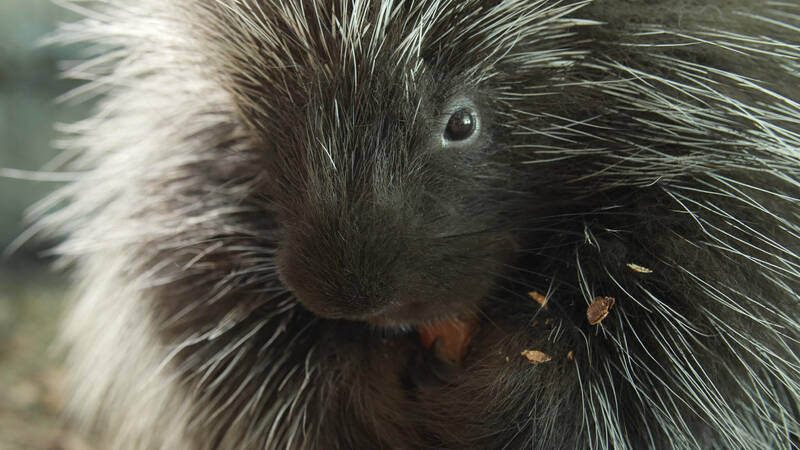 North American porcupine quills pack a hidden punch: microscopic, backward-facing barbs. Covering just the needlelike tip of the quills, the barbs make removing a quill difficult, because they flare out when pulled in the opposite direction. That means that if a predator gets quilled, the quill might never come out. When scientists examine the skulls of deceased mountain lions, Roze said, they often find the tips of porcupine quills embedded in their jaws. Of course, that mountain lion’s days of porcupine feasting may end forever if the quills keep it from eating or end up in the cat’s vulnerable internal organs. Still, a quill passing through the body is far from painless -- it’s excruciating -- as Roze knows from personal experience. He was once quilled in his bicep when up in a tree trying to catch an agile porcupine. Despite his wife’s suggestion to seek medical care, he waited two harrowing days until the quill traveled in one direction and cleanly exited his lower arm. He kept the quill as a souvenir. The quill’s barbs made penetration into his flesh easier. They also helped drive the quill through until it either exited or reached a stopping point, such as bone. Those barbs are the main attraction to Karp. He and his team ran experiments comparing a barbed quill to a barbless quill. They measured the forces required to insert and remove the quills. The results show that the barbs are dual-functional. The team also discovered that the barbs do minimal damage by making a more perfect hole in the tissue on their way in. A barbless quill or surgical staple tears the tissue and creates gaps that are susceptible to infection. 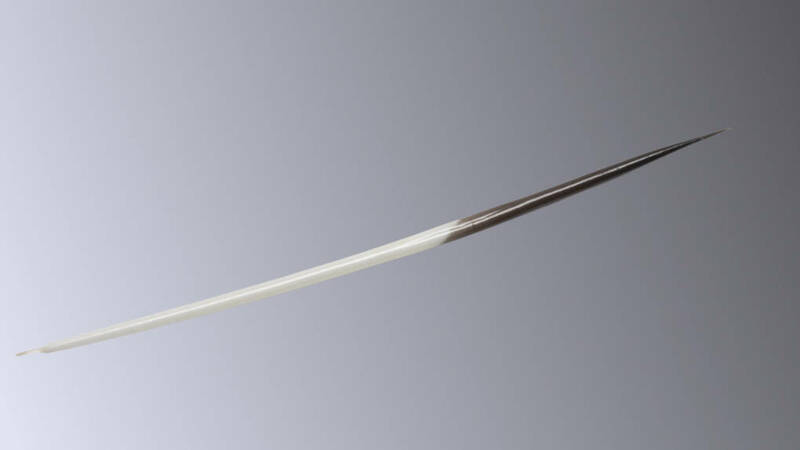 A new medical staple designed with two barbed tips would require much less effort to place, and the barbs, with their gripping power, would hold it in position without needing to bend the staple. Karp said he anticipates making the new staples out of biodegradable material so they would fully dissolve over time without having to be pulled out. That could eliminate the need for a follow-up visit to remove them, he said. The challenge now is recreating the full barb’s shape. But he estimated that if the right technologies become available, human testing of tools inspired by porcupine quills could begin in two to five years. “This could be an enabler for smaller incisions to be made in a large number of surgeries,” Karp said. That would be good news for both surgeons and patients. Visit "Penelope" the porcupine at Lindsay Wildlife Experience in Walnut Creek, California.